Are You a Photographer Copycat? Recently, I have been thinking a lot about copying. It is true that almost everything has been invented or someone has already done it one way or another, but I am still having difficulties thinking about copying as a basis for inspiration for work. Weirdly enough, I've had a couple of random encounters and chats with people that have told me that maybe, if I want to be more successful as a photographer, I should start imitating what's out there. So, my dilemma is: should I copy what's trending to make more money or should I stay true to myself, knowing eventually money and success will come? I am completely opposed to copying someone's work; as a matter of fact, I think that is never a good idea, but I am a strong believer that getting inspiration from other artist’s work is very beneficial to our own creative mind and to our own artistry. Copying like an artist is not about recreating someone else's work and calling it original; copying as an artist is about understanding another artist’s work, evaluating and analyzing why it moves us, and using the idea behind that emotion and putting it to work in our favor. I believe that going to art shows and museums is one of the things that inspires me the most to create. Sometimes, while I am at a museum or at an art workshop, I just run out and go create my own work, because I get so inspired by seeing good work that it makes me want to be as good as those other artists. I also understand what I like about them: it can be colors, shapes, textures, the way they capture a subject, a painting technique, or a feeling. Then, with all those things in mind, I think about my own work, and I inject those inspiring ideas into my own work. 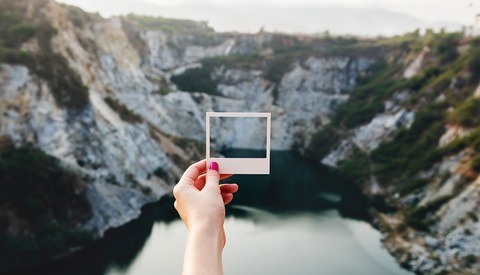 With platforms like Instagram and Facebook becoming more popular than ever, photographers are now being discovered by clients through social media. This has caused photographers to imitate one another because of the feeling that that's what's in fashion and that's what will get them work. All these new trends are basically people trying to create what others are making money from, mostly being nature-oriented photos, lifestyle photos or semi-naked photos. An Fstoppers reader sent me a great instagram page called @insta_repeat. 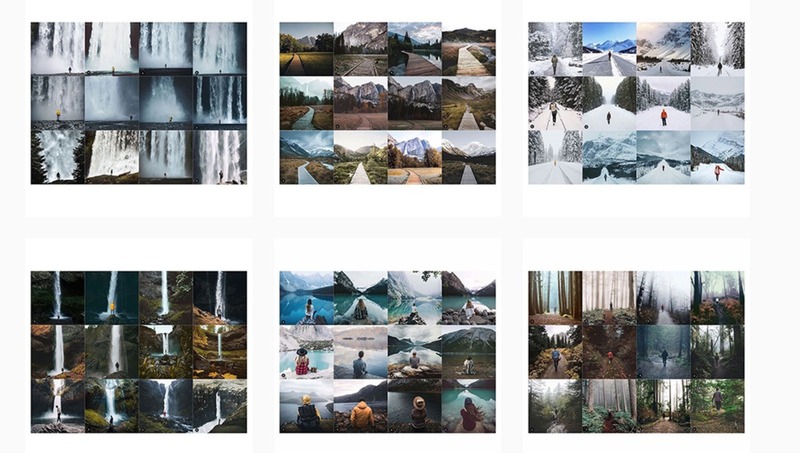 This awesome account is showing how basically every instagram photographer is shooting the exactly same thing without being original. As you can see, every photo feels the same way: all the same coloring, angles and framings! And I thought that photographers where supposed to have their own vision. The question still remains: to copy or not to copy? What to do in a world that is putting value on the same exact perspective? Is originality no longer valued? Or should we as artists replicate what is trending to survive? How can brands and clients be original if all of us are creating the same content? What would happen to those artists that remain true to themselves? Will they eventually be imitated? Will they have thousands of copycats in the future? How are you as an artist supposed to stand out from the crowd when only images that look and feel the same way are been given priority by an algorithm? How are you going to defy this? How are you supposed to have a voice without imitating or copying other voices? And the most important question you should ask yourself as a photographer or an artist: are you a copycat? I would love to hear your thoughts and answers to some of these questions, because as of today, I have no clue of what the future of art will look like. Copying something exactly is pointless except to learn something. If you copy something, at least change it and add your own twist on it. The whole world of Art depends on this. New realities are built on the empires of others. I'm on the outside of the trendy spectrum, and my work I would say is more 'original', but dark work(macabre/gothic/horror) is done all the time. If people want to shoot the same things it's all a matter of choice, and frankly there really isn't anything wrong with it. 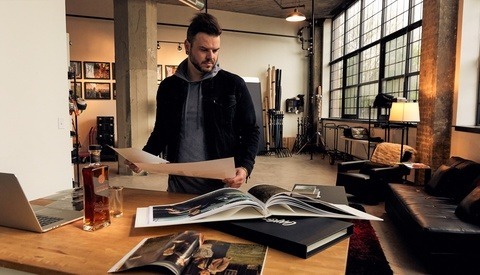 I mean, you can even see it here on Fstoppers. We're taught certain things look good, the rule of thirds, golden ratio/spiral. That leading lines, elements in the fore and background make for great eyegasm content. That certain colors that pop, draw us in, or compliment each other are the way to go. So, out of all of that who really is at fault? The teachings from masters on what is and isn't good looking, or the need to be trendy? It's hard to break free when you're told to conform. Even then, if you break that cycle there's no guarantee of success for being original, and I even see that on my own IG feed of being a non-conformist lol. Social media numbers matter in the market today sadly, and I doubt that will change much. Brands and big clients sometimes want trendy, sometimes want original. It's all a matter of taste and what the goal is. I think it was some years ago on here that Patrick or Lee posted an article about big companies and why a lot of people were never going to work with them because of what said companies were looking for. Which the article all boiled down to having a certain look or thing you could offer said company. But eh... you look at influencers today and a lot of them produce trendy work. I think the thing that really pisses me off about IG accounts like this is that they're just freebooting content to build their own fanbase. Some of the artists they're essentially dogging do not have a fraction of followers or likes compared to them. These artists they're stealing from are not benefiting from it in the slightest. To be quite frank, I don't care if someone wants to be trendy and copy others, I do care though that IG accounts like this are still up and running, and making money off of other people. Freebooting, like some photography websites do in order to avoid having to make actual content? Haha I see what you did there :P! 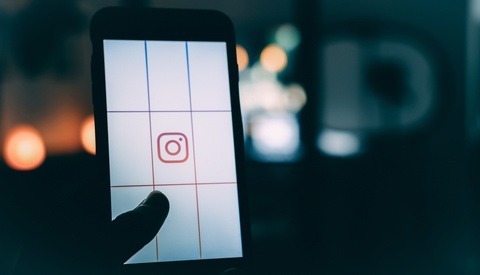 There sure have been a lot of copy-cat stories about insta-repeat in the last few months. This stupid topic again? Fstoppers you really need to start vetting your articles. Also people need to learn this has been happening for years, nothing new here. Are you a copycat writer? The famous photographic historian Beaumont Newhall would give his students a project called “in the manor of. “ The student would do research on the style of known photographer and then go out and photograph “in the manor of that photographer. This is a positive way to understand what one may call copying. a large country house with lands. a way in which a thing is done or happens. The copy process in my view is a big no-no. Copying or "renting" a colors, the feel is more than okay. If you use the same technique as an other photographer, but with a different goal and view, is the perfect way to do it. Somebody call this inspiration, I call it imitate. Because I imitate to be like an other photographer's work, but with my style and access of gear and knowledge. I attempted to shoot "Afghan Girl" substituting my son, and zoo giraffes in the background. That's not copying, it's referencing a famous piece out of context. It's like a good cover version of a great song. "Folsom Prison Blues" is just a country radio station cliche until some punk band nails it, or it gets turned into a Hip-Hop song, or whatever. You've got to honor your source of inspiration, though. The topic is similar but the two articles are very different if you'd read them. If you copy somebody its not good to copy somebody and improve it make it your own that's Good. there is no a portrait angle or lighting that has not been used there must be Billions of portraits out there, so do your best and copy. Copying isn’t good but finding inspiration is. I’ve tried to copy before and usually end up making better in my own opinion. I take ideas and go look for was to work it. Clique shots are ok time to time. My favorite photos I’ve shared on Instagram get the least reactions. The ones that are almost obvious to take seem to win for me. I don’t directly copy though I seek to put my twist on a shot be it in camera or with edits. The way I see it: If a music student plays Eric Claptopn he is not copying, he is practicing. The closer he gets the better. If the same student start selling and monetizing that work then it is copying. Some "copying" is just taking a good photo that makes sense, good light and composition converge and several different people independently come up with (practically) the same thing. Gillian Welch played Tower Theater in OKC this weekend - which was awesome! - but on the way in I decided to grab an up-shot of the Tower sign with "Gillian Welch" on it, all the nice neon and incandescent lighting against the evening sky. Not revolutionary, but a cool shot! Anyway, someone on Facebook posted EXACTLY THE SAME PHOTO (basically) the same day. Did they copy me? Did I copy them? No, the shot just made sense. I didn't share mine because it is rather vanilla, more of a way of capturing what I was doing vs trying to create a great piece of art, but someone thought it was good enough to share and did. So? I bet there are 100 more like it. Security is taken very seriously in the town that is famous for "the bombing" of 1995, so we had to wait and what do you do? You take pictures. I think anyone who copies would be doing so as a learning experience, isn't it? Or taking inspiration from a work that one admires. And inspiration by itself doesn't create, it only awakens the creative instinct (Andre Gide said this). The artist's creative instinct is quite apparent in his work and is bound to attract clients. On the other hand, if there is no creativity (which is the same as copying for the sake of copying), this also is quite apparent in the output and, in all probability, will push away clients.